It has been a long time since I have had the opportunity to paint some pop art pieces! In college I painted pop art to sell at Sweet Eugene's in College Station. When I went to dental school I used to paint pieces like this for Cafe Brazil in Deep Ellum. They were always so much fun to create. 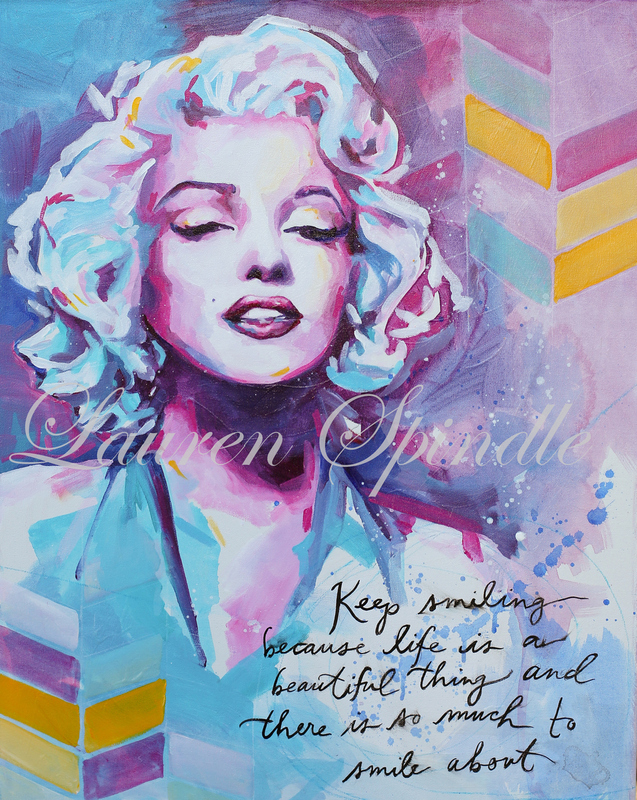 This Marilyn Monroe pop art piece is for sale at Southern Bling Boutique in down town Denison, Texas. Prints will hopefully be available soon! Ink & acrylic on canvas 20 x 30"